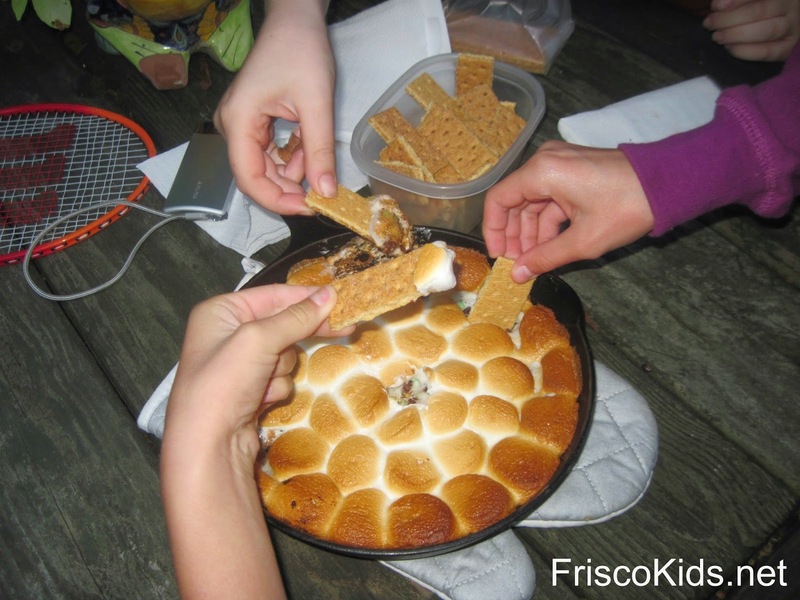 I recently posted a review for S'mores Dip, which I said we were going to try. Well, we did and I wanted to report back. It was a hit! 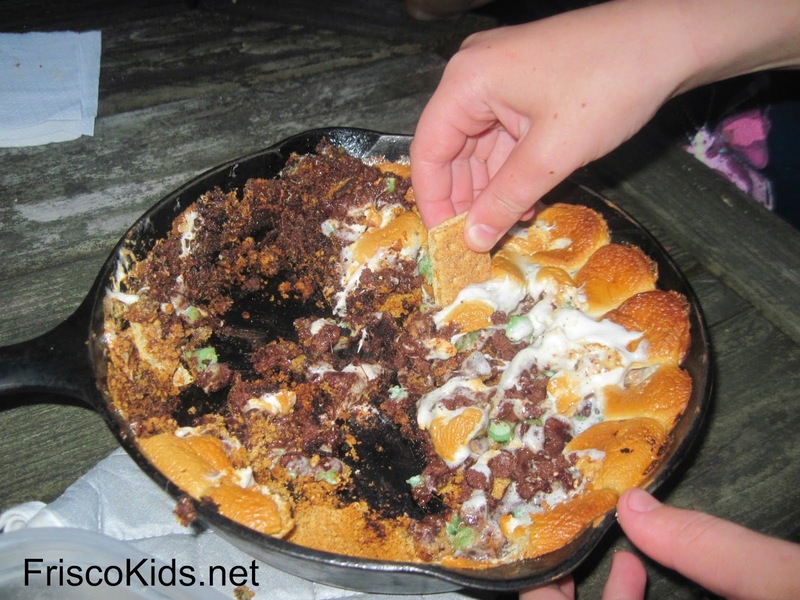 My daughter had a backyard campout and we had this dessert instead of real s'mores, because we didn't have a campfire going. The girls LOVED it. 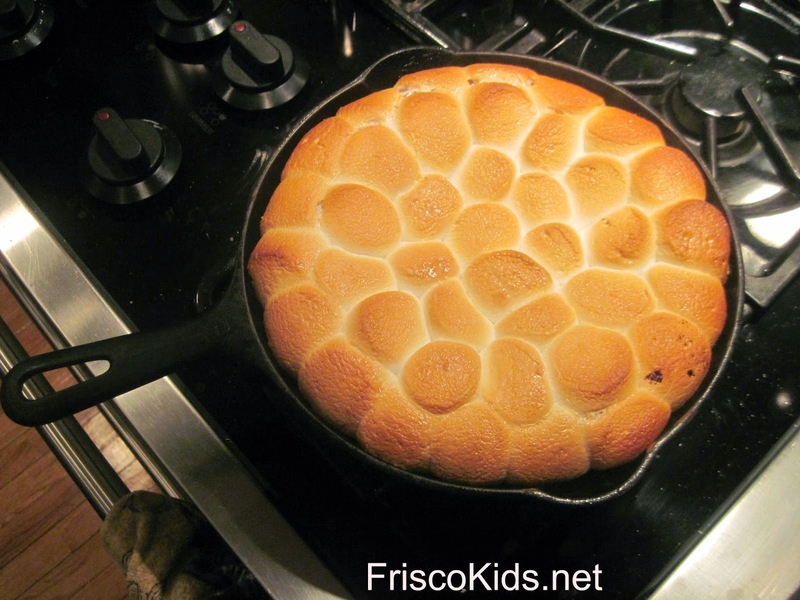 You'll find the s'mores dip recipe here, but it was very easy. I took someone's advice and mixed some graham cracker crumbs with butter on the bottom of the pan. This might make cleanup easier (if you don't burn the crumbs like I do). I would have skipped this part, however we had a bag of crumbs leftover from a pie crust and I wanted to use them up. I put too many in the pan. 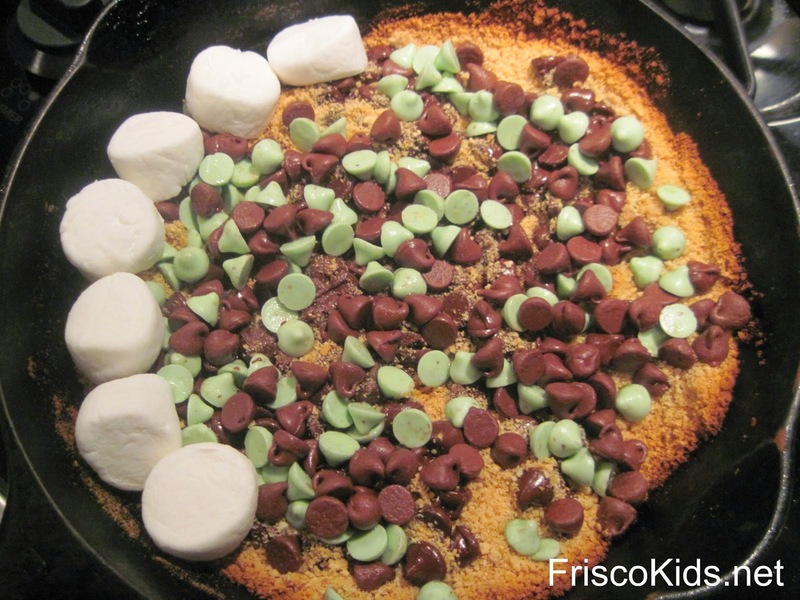 Next you cover the bottom (or the top of the graham cracker crumbs) with chocolate chips. We actually ran out of chocolate chips, which is a first in my house. We usually have way too many. But we had some mint chips, so I used those too. The kids loved it. You're supposed to have the chips somewhat melted when the go in the oven, but I burned the graham cracker crumbs a bit doing this - I put the pan in the oven before adding the marshmallows. 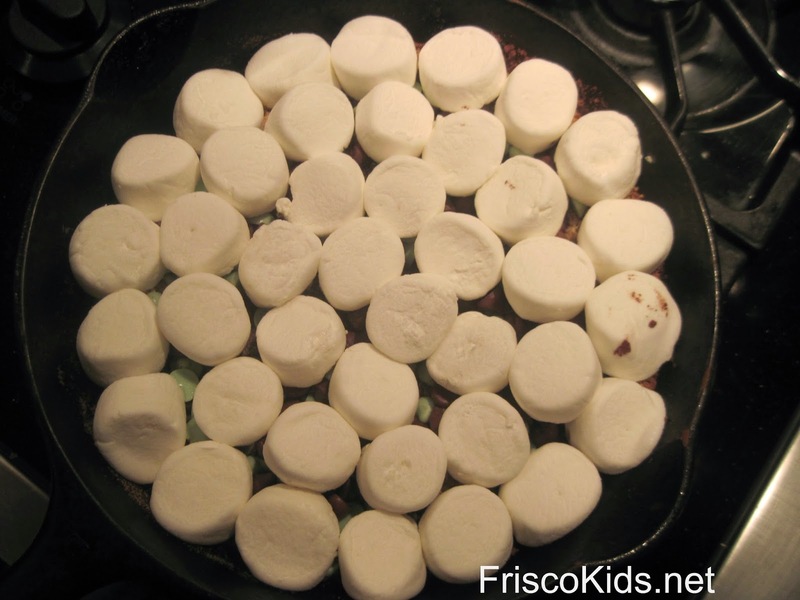 Then cover the top with marshmallows cut in half. Again, we already had an open bag (from actual camping) so this was a good use. It didn't look too pretty before baking it in the oven. As you can see, when it came out of the oven, it was gorgeous. We got some graham cracker pieces (just broke them in the natural spots) to use as dippers. We did a pretty good job on it with 4 kids and 2 adults. We had some sweetness overload, but we survived. If you try this, let me know how it turns out.